The Internet Of Things aka IoT has been advancing at a quick pace in the recent years. IoT utilises the millions of objects connected over the net, and facilitates information passing and evolves over time, learning each and every second. Blockchain, on the other hand, makes it possible to record each and everything that has been communicated between objects, at that instant, and make the information available to everyone present in the Blockchain network. The Internet Of Things aka IoT has been advancing at a quick pace in the recent years. Nowadays, everything is connected to the internet through various sensors and embedded systems. IoT utilises the millions of objects connected over the net, and facilitates information passing and evolves over time, learning each and every second. The ever-existing flow of information has enabled IoT to make businesses more service-oriented, by connecting the customer and the product both with the manufacturer. Blockchain, on the other hand, makes it possible to record each and everything that has been communicated between objects, at that instant, and make the information available to everyone present in the Blockchain network. How will the blend provide value? Tech gurus have predicted that the IoT and Blockchain together can provide coordinated, secure and transparent tracking of transactions and activities. This, in turn, can improve the overall value offered by IoT to a whole new level. The decentralised tracking provided by Blockchain can be used for supply chain management, scheduling, repair histories, end-user authentication, asset sharing networks and many other things. This can provide a wide scope of advancement in today’s world, where almost everything is connected. 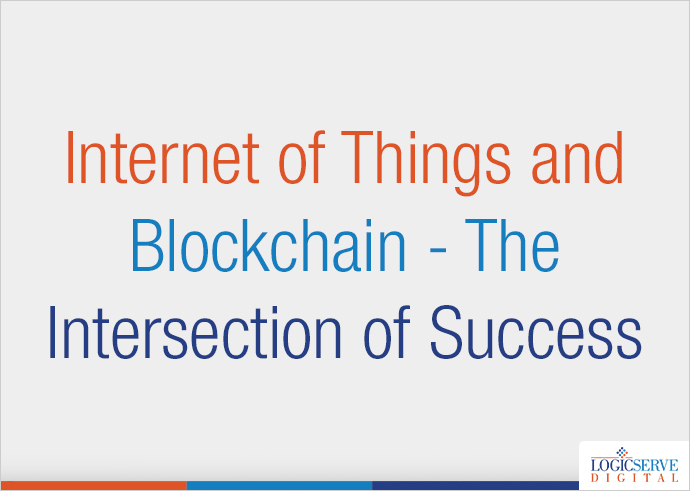 Many companies have implemented a combination of IoT and Blockchain to measure the potential and scope for improvement. For example, an organisation has started implementing these two to track objects like diamonds to make their forgery nearly impossible. Car companies have used this to track owners and the car itself, to provide a more superior service. What to take care of in this marriage of technologies? The idea of IoT and Blockchain together can be a game changer, but there are some issues with Blockchain that can hinder this near perfect combination. Blockchains are relatively slow in processing data if the current generation is considered, which is why it may be too much data for blockchains to handle efficiently. The processing speed remains a serious issue, but experts say that can be overcome with technologies like Tangle, which are essentially distributed ledgers. It is essential to solve this issue because IoT generates a lot of data every second, and blockchains should be able to handle the data efficiently and record it every instant to make the information available to the people in the Blockchain network. There is also a scalability problem that blockchains are facing at the moment because blockchains process transactions provided to them through machines run by miners. This issue can be resolved by ledgers that do not require human assistance, are completely automatic in nature, and are only software based. This can solve the scaling problem faced by blockchains and make them better suited for processing transactions, as there will be no humans keeping an eye on the transactions. Since the present model of Blockchain has been experiencing trust issues because there is always a possibility that human miners can always check the data obtained for processing. At a high level, the combination of IoT and Blockchain seems like a great idea. It can add tremendous value to a company’s bottom-lines provided the apparent drawbacks with Blockchain are solved. How to Influence Search Rankings with Right Search Intent?